The Art of Unblocking Websites Without Committing Crimes | TorrentFreak. Last month UK police took down several torrent site proxies and arrested their owner. Now a UK developer has created a new & free service that not only silently unblocks any website without falling foul of the law, but one that will eventually become available to all under a GPL 3.0 license. The blocking of sites such as The Pirate Bay, KickassTorrents and Torrentz in the UK led to users discovering new ways to circumvent ISP-imposed censorship. There are plenty of solutions, from TOR and VPNs, to services with a stated aim of unblocking ‘pirate’ sites deemed illegal by UK courts. Last month, however, dozens of these went offline when the operator of Immunicity and other related proxy services was arrested by City of London Police’s Intellectual Property Crime Unit. He now faces several charges including breaches of the Serious Crime Act 2007, Possession of Articles for Use in Fraud, Making or Supplying Articles for use in Frauds and money laundering. While it’s generally accepted that running a site like The Pirate Bay is likely to attract police attention, merely unblocking a domain was not thought to carry any such risk. After all, visitors to torrent sites are just that, it’s only later on that they make a decision to infringe or not. In our earlier article we discussed some of the possible reasons why the police might view “pirate” proxies to be illegal. However, there are very good arguments that general purpose proxies, even ones that are expressly setup to bypass filtering (and are able to unblock sites such as Pirate Bay), remain on a decent legal footing. One such site is being operated by Gareth, a developer and networking guru who grew so tired of creeping Internet censorship he began lobbying UK MPs on the topic, later moving on to assist with the creation of the Open Rights Group’s Blocked.org.uk. After campaigning and documenting Internet censorship issues for some time, Gareth first heard of last month’s proxy arrest during a visit to the United States. “I was at DefCon in Las Vegas when the news of the Immunicity arrest reached me and I realized that for all my volunteer work, my open source applications, operation of Tor relays, donations and letters to MPs to highlight/combat the issues with Internet censorship, it was not enough,” the developer told TorrentFreak. Since his return to the UK, Gareth has been busy creating his own independent anti-censorship tool. He’s researched in detail what happened to Immunicity, taken legal advice, and is now offering what he hopes is an entirely legal solution to website filtering and subsequent over-blocking (1)(2). “Unlike Immunicity et al I’m not specifically building a ‘Pirate Proxy’. Granted people might use this proxy to navigate to torrent websites but were I to sell a laptop on eBay that same person may use it for the same reasons so I see no difference,” he explains. The result of Gareth’s labor is the anti-censorship service Routing Packets is Not a Crime (RPINAC). People who used Immunicity in the past should feel at home, since RPINAC also utilizes the ability of popular browsers to use Proxy Auto-Config (PAC) files. In the space of a couple of minutes and with no specialist knowledge, users can easily create their own PAC files covering any blocked site they like. Once configured, their browser will silently unblock them. Furthermore, each PAC file has its own dedicated URL on RPINAC’s servers which users can revisit in order to add additional URLs for unblocking. PAC ‘unblock’ files can also be shared among like-minded people. “When someone creates a PAC file they are redirected to a /view/ endpoint e.g. https://routingpacketsisnotacrime.uk/view/b718ce9b276bc2f10af90fe1d5b33c0d. This URL is not ephemeral, you can email it, tweet it (there is a tweet button on the left hand side of the site) etc and it will provide the recipient with the exact same view. “It’ll show which URLs are specified to be proxied, which have been detected as blocked (using the https://blocked.org.uk database) and if the author passed along the password (assuming the PAC was password protected) they can add or remove URLs too,” Gareth explains. This user-generated element of the process is important. While dedicated ‘pirate’ proxy sites specifically unblock sites already deemed illegal by the UK courts (and can be deemed to be facilitating their ‘crimes’), RPINAC leaves the decision of which sites to unblock completely down to the user. And since no High Court injunction forbids any user from accessing a blocked domain, both service and user remain on the right side of the law. Finally, Gareth notes that without free and open source software his anti-censorship platform wouldn’t have been possible. So, in return, he has plans to release the source code for the project under the GPL 3.0 license. RoutingPacketsIsNotACrime can be found here and is compatible with Firefox, Chrome, Safari and IE. Additional information can be sourced here. via Three-Strikes Copyright Law In NZ Halves Infringement – Slashdot. Hollywood had the brainwave that the regional strategy to tackle copyright issues in Australia was to introduce harsher legislation, to criminalise Internet users who seek alternative means of accessing content in their preferred format, at a time that is convenient for them. Hollywood have ignored this consumer demand for so many years now that multiple alternatives for the acquisition of content have not only been designed, built, adopted and thoroughly commoditised, they have become totally mainstream, with less tech savvy users readily using them. via Find a better way to share content? We might as well be talking to a brick wall | the iiNet Blog.Hollywood had the brainwave that the regional strategy to tackle copyright issues in Australia was to introduce harsher legislation, to criminalise Internet users who seek alternative means of accessing content in their preferred format, at a time that is convenient for them. via Find a better way to share content? We might as well be talking to a brick wall | the iiNet Blog. A court has overturned a 2010 ruling which said that blocking The Pirate Bay at the ISP level was “disproportionate”. The Antwerp Court of Appeal sided with the Belgian Anti-Piracy Federation in their quest to force two ISPs to block subscriber access to the world’s most famous torrent site. Belgacom and Telenet must now implement a DNS blockade of the site within 14 days or face fines. via Belgian ISPs Ordered To Block The Pirate Bay | TorrentFreak. The report shows that BitTorrent traffic has very a different impact depending on the place an ISP has in the network. Higher tier companies mostly profit from BitTorrent downloads, while lower tier companies are charged for the downloading habits of their consumers. According to the researchers the Internet providers should be aware of the impact BitTorrent has on them, as it may greatly impact their business decisions. The fact that ‘local’ BitTorrent traffic is preferable is not a new idea. Attempts to keep P2P transfers within the local network as much as possible are not new, and some ISPs have secretly tested the concept in the wild by seeding their own BitTorrent downloads. As a closing remark we have to note that the study only looked at bandwidth, and not the various other costs BitTorrent traffic has on a network by making millions of connections every day. The takeaway message, however, is that in terms of revenue there are quite a few very large companies that profit directly from heavy BitTorrent users. That’s a conclusion we haven’t heard before. via Large ISPs Profit From BitTorrent Traffic, Study Finds | TorrentFreak. As was widely reported last week, several major internet access providers including, very likely, yours struck a deal last week with big content providers to help them police online infringement, educate allegedly infringing subscribers and, if subscribers resist such education, take various steps including restricting their internet access. We’ve now had a chance to peruse the lengthy “Memorandum of Understanding” MOU behind this deal. Turns out, as is often observed, the devil is in the details – and they are devilish indeed. via The “Graduated Response” Deal: What if Users Had Been At the Table? | Electronic Frontier Foundation. American Internet users, get ready for three strikes “six strikes.” Major US Internet providers—including AT&T, Verizon, Comcast, Cablevision, and Time Warner Cable—have just signed on to a voluntary agreement with the movie and music businesses to crack down on online copyright infringers. But they will protect subscriber privacy and they won’t filter or monitor their own networks for infringement. And after the sixth “strike,” you won’t necessarily be “out.”Much of the scheme mirrors what ISPs do now. Copyright holders will scan the ‘Net for infringement, grabbing suspect IP addresses from peer-to-peer file-sharing networks. If they see your IP address participating in a swarm for, say, Transformers, they will look up that IP address to see which ISP controls it, then fire off a message.ISPs have committed to forward such notices to subscribers—though, crucially, they won’t turn over actual subscriber names or addresses without a court order. This is a one-way notification process. via Major ISPs agree to “six strikes” copyright enforcement plan. We are informed by the BBC that the MPA is in the UK High Court today seeking to force the ISP British Telecom to block us from Stephen Fry’s web browser. Charming, we thought, bloody charming: “A Newzbin2 themed costume party, with horsehair wigs, and no-one invited us.” The MPA didn’t invite us, BT didn’t invite us, the court didn’t invite us. Team R Dogs would have loved to have had some say.What is worse is that it is a UK legal first: the first time anyone there has sought a blocking order in the High Court. The only blocking so far has been done by British Telecom using their Cleanfeed system to filter out kiddyporn sites on a list created by the Internet Watch Foundation, but that has been done without a court order.If the MPA get this injunction they will certainly, in the mould of the Internet Watch Foundation, start to add to the list other sites that offend them, e.g. the Pirate Bay. All of this will probably also be secret and, like us, not subject to an appeal or any due process. via Press statement for immediate release. 29/6/2011 | NZBlog. Some of the country’s largest Internet service providers are poised to leap into the antipiracy fight in a significant way. After years of negotiations, a group of bandwidth providers that includes AT&T, Comcast, and Verizon are closer than ever to striking a deal with media and entertainment companies that would call for them to establish new and tougher punishments for customers who refuse to stop using their networks to pirate films, music and other intellectual property, multiple sources told CNET. The sources cautioned that a final agreement has yet to be signed and that the partnership could still unravel but added that at this point a deal is within reach and is on track to be unveiled sometime next month. via Exclusive: Top ISPs poised to adopt graduated response to piracy | Media Maverick – CNET News. via Michael Geist – UN Report Says Internet Three Strikes Laws Violate International Law. Rights holders from across the music and film industries have identified about 100 websites – including The Pirate Bay and “cyberlocker” sites – that they want internet service providers such as BT to block under new measures to tackle illegal filesharing.Under a voluntary code that is under discussion, content owners would pass evidence of illegal filesharing sites to ISPs, which would then take action against those sites.However, the proposals are fraught with complications. ISPs are understood to be open to the idea of cutting off access to some infringing sites, but argue that an impartial judge should decide which get blocked. It is also unclear whether content owners or ISPs would be liable to pay compensation to a site that argues that it has been unfairly censored. via ISPs urged to block filesharing sites | Technology | guardian.co.uk. The Combating Online Infringement and Counterfeits Act (COICA, S.3804) sets up a system through which the US government can blacklist a pirate website from the Domain Name System, ban credit card companies from processing US payments to the site, and forbid online ad networks from working with the site. It passed the Senate Judiciary Committee 19-0 this week, but it’s never going to pass the Senate before the end of the current Congress. Sweet sanity! And yet—this thing passed out of committee 19-0 with minimal hearings? Presumably there’s a big bipartisan bloc in the Senate which doesn’t think a major new Internet censorship regime—and one that applies only to copyright—needs much in the way of oversight. While the bill looks dead this year, the idea has met with thunderous applause from the movie and music industries, who are sure to back it next year. Hopefully, something more considered will be on the table the second time around. The data appears to be “anonymous” only in the sense that it consists of IP addresses and not usernames. When deployed by an ISP, however, linking IP addresses to one’s own user accounts is trivial. Do ISPs even have the authority to install such systems on their network? “Anonymous” or not, DPI tools might be considered wiretap devices, and a group called Privacy International promptly complained to the European Commission about the issue (during the debates over a similar DPI-based ad-serving system called Phorm, the UK government made clear it would not do much to stop such trials). Today, the European Commission indicated that it took the Privacy International complaint seriously and would watch Virgin’s actions closely. The BBC also went to Virgin, asked a couple of obvious questions about how CView would work, and elicited some amazing responses from an ISP spokesman. Earlier this year, the IFPI gave Norwegian ISP Telenor an ultimatum – block access to The Pirate Bay within days or get taken to court. Telenor refused, IFPI followed through with its threat and the case was heard earlier this month. The decision was announced today. IFPI lost the case and Telenor will not have to block The Pirate Bay. tpbThis March, IFPI – backed by several Hollywood movie companies – gave Telenor, Norway’s largest ISP, a warning: block your users from accessing The Pirate Bay within 14 days or we will take legal action. Without any legal basis, Telenor refused to comply. “This would be the same as demanding that the postal service should open all letters, and decide which ones should be delivered,” said Telenor boss Ragnar Kårhus. The verdict in the case was due to be delivered October 30th, but was delayed until today. IFPI has lost the case and Telenor will not have to block The Pirate Bay. The court ruled that Telenor is not contributing to any infringements of copyright law when its subscribers use The Pirate Bay, and therefore there is no legal basis for forcing the ISP to block access to the site. “Obviously we are pleased that the District Court has arrived at this conclusion,” said Telenor’s Ragnar Kårhus in a statement. “At the same time it is important for us to emphasize that this case is not about being in favor of or opposed to copyright, but about whether or not it is reasonable to saddle Internet service providers with a censorship role in respect of content on the Internet,” he added. Kårhus went on to say that the most important way for IFPI and other rights holders to maintain healthy revenue streams, is to develop business models and services that render the use of sites like The Pirate Bay less attractive to Internet users. In making its decision, the court also had to examine the repercussions if it ruled that Telenor and other ISPs had to block access to certain websites. This, it said, is usually the responsibility of the authorities and handing this task to private companies would be “unnatural”. British cable TV operator Virgin Media is to launch an unlimited music download subscription service through a partnership with the world’s largest music company, Universal. The music industry has been desperate to boost digital sales in recent years to overcome online piracy, and the agreement comes a day before a British report sets out how the creative and telecoms industries should tackle the problem. People familiar with the service said it would cost 10-15 pounds ($16.30-$24.50) per month, which could appeal to parents concerned by children accessing illegal sites. The service, which both sides described as a world first, would allow Virgin Media broadband customers to both listen by streaming and download to keep as many music tracks and albums as they want from Universal’s catalog. The music will be in the MP3 format, meaning it can be played on the vast majority of music devices, including the iPod and mobile phones. The service, which would compete with Apple’s iTunes, is set to launch later this year. Virgin said as part of its cooperation with the music industry it would also work to prevent piracy on its network by educating users and would, as a last resort for persistent offenders, suspend Internet access. Virgin said no customers would be permanently disconnected. illegal broadband file-sharing (P2P) downloads. compromise on issues of network equity: no strong protection against “net discrimination” was adopted. Viviane Reding considering access to Internet as a fundamental right. French ‘three strikes‘ scheme, HADOPI, is dead already.” explains Jérémie Zimmermann, co-founder of La Quadrature du Net. pressure to compromise when essential values are at stake. Parliament did not take the full measure of what it is at stake yet. Citizens must remain mobilized on these crucial questions,” concludes Gérald Sédrati-Dinet, analyst for La Quadrature. Britain report (due in another month or so) may present one. See our ‘To Ban or Not to Ban (Illegal File Sharers)‘ – article for more background to all this.he European Parliament has, in its FINAL vote (there have been five so far) on the matter, chosen to retain amendment 46 (138) of the new Telecoms Package by a majority of 407 to 57. Amendment 46 states that restrictions to the fundamental rights and freedoms of Internet users can only be put in place after a decision by judicial authorities, which protects ISPs from having to disconnect customers suspected of involvement with illegal broadband file-sharing (P2P) downloads. La Quadrature du Net confirms that the European Parliament has nevertheless adopted a soft compromise on issues of network equity: no strong protection against “net discrimination” was adopted. “A formidable campaign from the citizens put the issues of freedoms on the Internet at the center of the debates of the Telecoms Package. This is a victory by itself. It started with the declaration of commissioner Viviane Reding considering access to Internet as a fundamental right. The massive re-adoption of amendment 138/46 rather than the softer compromise negotiated by rapporteur Trautmann with the Council is an even stronger statement. These two elements alone confirm that the French ‘three strikes’ scheme, HADOPI, is dead already.” explains Jérémie Zimmermann, co-founder of La Quadrature du Net. “The strong statement for the access to the Internet as a fundamental right demonstrates that the Parliament can be courageous and reject the pressure to compromise when essential values are at stake. Unfortunately, on issues that appear more technical such as the absence of discrimination of services and contents on the Internet, the Parliament did not take the full measure of what it is at stake yet. Citizens must remain mobilized on these crucial questions,” concludes Gérald Sédrati-Dinet, analyst for La Quadrature. Mercifully we’re unlikely to see Three-Strikes style legislation in the UK, although some rights holders are still privately pushing for it. To date the industry as a whole has failed to agree a concrete way forward on the matter, although it’s expected that Lord Carter’s final Digital Britain report (due in another month or so) may present one. See our ‘To Ban or Not to Ban (Illegal File Sharers)’ – article for more background to all this. In Germany, the file-hosting service Rapidshare has handed over the personal details of alleged copyright infringers to several major record labels. The information is used to pursue legal action against the Rapidshare users and at least one alleged uploader saw his house raided. nternet service providers refuse to cooperate with an entertainment industry group’s demand to shut down The Pirate Bay. Following yesterday’s conviction of the four men connected with the popular file sharing site, the International Federation of the Phonographic Industry (IFPI) is demanding that Pirate Bay website be shut down. But Internet service providers (ISPs) refuse to cooperate, reports the Svenska Dagbladet newspaper. Neither has the judgement slowed down file sharing. Several minutes after the Stockholm District Court delivered the verdict, almost ten billion files were being downloaded. The ISPs maintain that the ruling doesn’t apply to them. “In part, this is not a legally binding decision, but above all, this is a judgement against Pirate Bay and nothing that effects any service provider. We will not take any action (to block) the contents if we are not compelled to do so,” Patrik Hiselius, a lawyer at Telia Sonera, told Svenska Dagbladet. Bredbandsbolaget and Com Hem had the same reply. Jon Karlung, managing director of Bahnhofs, said the judgement does not change anything. For the Internet Study 2008/2009 ipoque‘s ISP and university customers agreed to provide anonymized traffic statistics collected by PRX Traffic Managers installed in their networks. which has slightly decreased in proportion. According to new data figures from PlusNet, P2P traffic has declined significantly over the past year and legal, streaming content has grown exponentially. The figures show that P2P traffic is down 8.75 percent year-on-year while streaming content traffic is up 170 percent over the same period. More notably, streaming content traffic is rising almost 9 percent per month, at a very steady pace. PlusNet says with P2P traffic down for the year, P2P only accounts for 26 percent of total Internet traffic, down from an all time high of 36 percent last year. The numbers can only mean good things for the industry which has long used P2P traffic as an excuse to block high bandwidth users or charge more for those who use excessive amounts of bandwidth. If these numbers prove accurate, then it seems customers are happy viewing their content legally and the media industry is doing a good job in getting content easily available to consumers who otherwise had no alternative. One of the UK’s top ISPs is preparing to launch an unlimited music service that would see it pay record labels for songs illegally downloaded by its customers, paidContent:UK can reveal. Playlouder MSP (music service provider), which first tried the model for itself back in 2003, said it will facilitate the service for the broadband operator, starting early next year. Co-founder Paul Sanders would not name the ISP, but a source last month told paidContent:UK Virgin Media (NSDQ: VMED) was holding some kind of talks with the vendor. Now that the biggest six ISPs have pledged to reduce illegal downloading on their networks, they need commercial alternatives that will prove similarly enticing – and subscriptions offering tunes-on-tap are emerging as the front runner for consumers already plucking free music from the “celestial jukebox”. Playlouder’s service lets users legitimately download from channels like Gnutella, BitTorrent and more – the list goes on – because the “deep packet inspection” technology, installed on the broadband infrastructure, recognises every song downloaded over the ISP network, no matter which protocol, and reimburses rightsholders accordingly. Subscribers to the music package will even be allowed to share tunes amongst themselves because every transfer is anonymously tracked using Audible (NSDQ: ADBL) Magic, but proliferation to non-subscribers will be blocked. The effective legitimisation of P2P channels many consider “illegal” could be a watershed – but depends on whether the ISPs can convince customers to pay a monthly fee for unlimited access they’re already getting gratis. The thousands of warning letters they’ve pledged to send may help shepherd freeloaders away from free, creating new markets. Recent research showed 95 percent of UK consumers copy music and last week’s study showing the scale of Radiohead BitTorrents suggested many listeners are loathe to use official legal channels, so a framework that extracts money from P2P, without weening users off their favourite habit, could be a winner. For Sanders, what is Playlouder’s first ever client in five whole years of operating comes better late than never. Formed out of the early music webzine of the same name, Playlouder in 2003 debuted MSP, its own attempt at an £18-a-month ISP service with bundled music package. Three years in, and squeezed out by the ISP big boys, however, the outfit had signed only a handful of subscribers and was mothballed to a mere R&D project while Playlouder switched to focus on selling the service to the bigger providers. But now the industry’s growing interest in the subscription music model (Sky, Nokia (NYSE: NOK), Orange et al all launching one) could finally mean real business for Playlouder, and Sanders is in the unique position of having learned more than perhaps anyone in the UK about the emerging consumer model that promises to restore to the music business much of the revenue it’s lost to piracy. “Patience is a virtue,” he said. “This is a very slow business, I can tell you. But I haven’t been working on this for five years to decide not to prove the model at the last minute – this is new territory for ISPs and the music industry.” Perhaps hinting at the upcoming ISP deal: “If some things that we know are happening come to fruition, then we should see a breakthrough early next year. It’s not rocket science – give ‘em what they want, ask them to pay for it.” Sanders said subscriptions would bring a “huge amount more” money to music because customers buy only 2.4 albums a year (approx (£24) but would pay £5 per month (£60 annually) for unlimited access. Playlouder is licensed to use music from EMI, SonyBMG, several indies and one more big label is on the way, Sanders revealed. So confident is he in what could finally be the realisation of his original goal, however, Sanders has ruled out selling equity to any ISP – despite approaches from both broadband and music providers – hoping instead to sell the service to “as many of them as possible”. The Playlouder system will work on any ISP’s network, Sanders said. 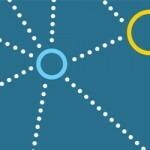 The Big Report – Peer-to-Peer Filters: Ready for Internet Prime Time? In this test, we configured 13 different P2P clients using a total of 10 different P2P protocols to verify detection accuracy. For each of the major P2P protocols – BitTorrent, eDonkey, and Gnutella – we used two different clients. Client implementations of the same protocol may differ slightly, so we wanted to verify whether the devices could detect all implementations of a P2P protocol and distinguish between different clients. Other Internet applications like Web sessions, video streams, file transfer, and email were sent alongside the P2P traffic in order to reproduce a typical mix of Internet traffic. The challenge was to detect the P2P protocol traffic volume accurately – not allowing any sessions to escape the device’s attention. Easily a third of AT&T’s downstream traffic is now “web audio-video,” far more than p2p and the gap is widening rapidly. Hulu and YouTube are taking over, while p2p is fading away on DSL networks. One likely result is that managing traffic by shaping p2p is of limited and declining use, perhaps buying a network 6 months or a year before needing an upgrade. The p2p traffic shaping debate should be almost over, because it simply won’t work very much longer. AT&T has sensible plans to handle the load without disruption. They are already moving from 10 gig to 40 gig in the core, and planning a transition to 100 gig in a few years. The current projections are they can do these upgrades without raising capex, bringing per bit costs down along a Moore’s Law curve and keeping bandwidth costs per user essentially unchanged. So if the capacity costs of keeping pace with demand are nominal, does that still make AT&T’s push into metered billing “inevitable?” One gets the feeling that there’s no greater chasm than the one between a lobbyist and network engineer describing the same network. And in the second instance? That is yet to be determined, and the ISPs and rights holders signing the Memorandum of Understanding with the government have been sent off for four months to figure out the ‘or what?’ bit of the deal. In the meantime those letters will be cranking out. The targets will be identified by “music rights holders” who will pass the data on to the ISPs, who will then run the system as a trial for three months. So that’s about 70,000 letters in total, the number of suspects being dependent on whether they’re going to bombard the same people with information regarding the unlawful nature of some of their account’s activities, or whether they go for a ‘one per deviant’ rule. The evidence of this trial period will be analysed, and depending on what that tells them they’ll agree with Offcom an escalation in numbers, a widening of content coverage (presumably to video), and “a process for agreeing a cap.” That is, not a cap in itself, but a process for agreeing one. This (we speculate) might take into account factors such as cost of stamps to ISPs, level of music business profitability, percentage of deviants in total user base, ratio of ridicule experienced by music industry to ridicule experienced by ISPs, and the price of sardines. Or something. The two aspects of the letter – drawing the user’s attention to the infringement and pointing them at legal alternatives – are likely to be important in determining the success of the trial. Some users – possibly, as Feargal Sharkey thinks, most – are likely to be scared off when they learn that somebody’s watching them, but adequate legal alternatives (which the ISPs say they’re going to set up) will have to exist in order for the customers to be directed to them, and to carry on using them. The ISPs already do traffic management, so that could just mean more of the same. Content marking would have to be done by the rights holders and would simplify filtering, if they decided they were going to do filtering, while rights holders busting serious infringers is pretty much what rights holders do already. Currently four tougher alternatives to this regime are being floated, and they still don’t include ‘three strikes’. Option A1 proposes legislation making it possible for rights holders to get personal data of infringement suspects on request, rather than having to apply for a court order. This would make it cheaper to sue infringers than it currently is, and could possibly mean an increase in prosecutions, but this only seems possible if the rights holders decided all deals were off, threw their toys out of the pram and went nuclear. Or they might just want to add everybody to their mailing lists, but we doubt that. Getting the ISPs to “implement their own terms and conditions” is one of the BPI’s refrains, and if they were to do this in accordance with the BPI’s wishes, then they’d be warning people, suspending them, kicking them off… Which could indeed end up looking and feeling like three strikes, but these are alternative options, remember – they are not currently on the table. Option A3 is basically Option A2, but sitting in between the rights holders and the ISPs would be a third party regulatory body which would assess the evidence, direct the ISP to take appropriate action and hear appeals and complaints. This would be costly and complex – and the government seems not to like it much. Which is cool, if true. The rights holder doesn’t lose revenue because there’s no infringement, the ISP doesn’t need to do any threatening or booting, and it “may not require costly regulatory processes to be established or require issues of data protection to be addressed.” It could indeed be the government’s preferred magic bullet if all of that turned out to be true. A recommendation to punish Comcast Corp. for blocking subscribers’ Internet traffic should serve as a warning to other service providers, the nation’s top telecommunications regulator said Friday. The Associated Press reported Thursday night that Martin will recommend to his fellow commissioners that Comcast, the nation’s largest cable company, be punished for violating agency principles that guarantee customers open access to the Internet. Martin provided more details of his proposed disciplinary action in a meeting with reporters Friday. Comcast was accused by consumer groups of blocking “peer-to-peer” Internet traffic, where users share large data files using special software. The complaint followed an AP investigation in October. Comcast denies it blocks content, but says it uses “carefully limited measures” to manage traffic on its broadband network to ensure all customers receive quality service. Martin wants Comcast to stop using its current practice, to tell commissioners where it has used it in the past, and to disclose to the agency and consumers what limitations will be placed on customers under its new traffic management plan, which it hopes to have in place by the end of the year. Martin said he is not recommending a fine against Comcast because he wants to use the case as a means of laying out agency policy. The Motion Picture Association of America has proclaimed victory with a criminal conviction against a peer-to-peer Web site operator. A federal jury convicted 26-year-old Daniel Dove of EliteTorrents.org, a site that distributes movies before their official release. Dove’s conviction on charges of conspiracy and felony copyright infringement marks the eighth successful prosecution stemming from a national crackdown on sites that distribute copyrighted content through P2P networks. It’s the first time a federal jury has handed down a criminal conviction for P2P copyright infringement, according to the U.S. Department of Justice. Prosecutors said Dove recruited a small group of EliteTorrents members with high-speed Internet connections and served as an administrator as they uploaded pirated content. They said he operated a high-speed server to distribute content through BitTorrent technology. Investigators who participated in “Operation D-Elite” uncovered evidence showing EliteTorrents had more than 125,000 members and promoted distribution of about 700 movies, which were downloaded more than 1.1 million times. Dove will face sentencing Sept. 9. He could spend up to 10 years in prison. Dove’s conviction “sends a clear message that when presented with clear-cut evidence, jurors have little tolerance for the willful, deliberate, and widespread distribution of protected content,” said Dan Glickman, chairman and CEO of the MPAA. “The MPAA commends the federal jury in Big Stone Gap, Va., for their thoughtful deliberations in this case and for valuing the protection of intellectual property in the United States,” he said. The BPI has written to 800 Virgin Media customers warning them to stop sharing music files or risk losing their broadband connection. The letters came in an envelope marked: “Important. If you don’t read this, your broadband could be disconnected.” But Virgin told Radio 1’s Newsbeat that the phrase was a mistake and the letters were part of an education campaign. Virgin said it was not making any kind of accusation and that it was possible someone other than the account holder was involved. When the Virgin campaign was revealed last month the company assured us that the letters were not part of a “three strikes” process. The BPI has pushed ISPs to warn users three times for copyright infringement before cutting off their broadband. The individuals were identified by the BPI which, as we exclusively revealed , is working on a similar scheme with BT. The BPI letter sent on by BT warns of further action including “litigation and suspension by BT your internet connection”. At least one Virgin customer who received a letter in June told Newsbeat he was certain it was not him or his flatmates who were responsible for downloading the Amy Winehouse song. He said it was possible that someone had used the flat’s wireless network. Will McGree said: “The campaign is doomed to fail. Virgin will lose a lot of customers over this because people don’t like to be accused of stealing music over their morning coffee. The BPI has been busy lobbying the government for stronger laws against file sharing. But the government seems to be resisting the pressure and is instead pushing the music industry and ISPs to get talking to find a licensed, and paid for, form of file sharing. Although BT and Virgin are supporting the BPI’s approach others, notably Carphone Warehouse, are refusing to co-operate. A survey last month found 63 per cent of internet users were downloading unlicensed music. Anyone who persists in illicit downloading of music or films will be barred from broadband access under a controversial new law that makes France a pioneer in combating internet piracy. “There is no reason that the internet should be a lawless zone,” President Sarkozy told his Cabinet yesterday as it endorsed the “three-strikes-and-you’re-out” scheme that from next January will hit illegal downloaders where it hurts. Under a cross-industry agreement, internet service providers (ISPs) must cut off access for up to a year for third-time offenders. One of them, Time Warner Cable, began a trial of “Internet metering” in one Texas city early this month, asking customers to select a monthly plan and pay surcharges when they exceed their bandwidth limit. The idea is that people who use the network more heavily should pay more, the way they do for water, electricity, or, in many cases, cellphone minutes. On the heels of its arrangement with BitTorrent , Comcast on Tuesday announced that it would partner with Pando Networks to create a P2P bill of rights for file-sharing networks and Internet service providers. Comcast and Pando will meet with industry experts, other ISPs, and P2P companies in order to come up with a set of rules that would clarify how a user can use P2P applications and how an ISP can manage file-sharing programs running on their networks. Last month, Comcast announced that it had reached an agreement with BitTorrent whereby Comcast agreed to alter its network management practices, and BitTorrent acknowledged that Comcast has the right to police its own network. Comcast’s battle with P2P networks started last year after the Associated Press published an article that accused Comcast of blocking peer-to-peer services like BitTorrent. Comcast admitted to delaying P2P traffic during peak times, but denied that any file-sharing applications were being completely blocked. Nonetheless, the FCC has opened an inquiry into the matter. The commission will sponsor a Net neutrality hearing that will address network management practices on Thursday at Stanford Law School, but has yet to take any definitive action. The FCC has invited Tony Werner, Comcast chief technology officer, and Robert Levitan, CEO of Pando Networks, to participate in the Stanford hearing, an FCC spokesman said Tuesday night. The Comcast-Pando deal is “an interesting idea with potentially important implications for all Internet users,” he said. Under the Pando deal, Comcast will run a test of Pando’s Network Aware technology on its fiber-optic network in order to measure performance, speed, distance, and geography as well as the bandwidth consumption impact to the ISP, Comcast said. Pando will also conduct tests on other ISP networks, including cable, DSL, fiber, and wireless. The results of these tests are intended to help Comcast move to a protocol-agnostic network management policy by year’s end – which was part of the deal with BitTorrent. “We hope to get other industry experts, ISPs and P2P companies together this spring and publish the ‘P2P Bill of Rights and Responsibilities’ later this year,” Comcast’s Werner said in a statement. “By sharing the test methodology and results, all P2P companies and ISPs can learn how to more efficiently deliver legal content,” said Pando’s Levitan. The National Cable and Telecommunications Association (NCTA) praised the annoucement as “further evidence that private sector collaboration, not government intervention, is the most appropriate way to address complicated technological issues,” NCTA president and CEO Kyle McSlarrow said in a statement. The Distributed Computing Industry Association (DCIA), which represents P2P and social-networking providers, urged industry participation in the process. “The DCIA and our member companies and participants in our working groups believe that private sector initiatives are generally preferable to regulatory measures in such areas,” DCIA CEO Marty Lafferty said in a statement. Free Press, which filed the FCC network management petition, was skeptical that the Pando deal would protect consumers. The Comcast-Pando deal “is little more than the fox telling the farmer, ‘I’ll guard the henhouse, you can go home.’ And that’s all the attention it deserves,” Ammori concluded. “Comcast should fix its internal problems with customers being kicked off the Internet service for no good reason, or are disappointed about having programming switched to expensive digital services before it starts pretending to solve the problems of the Internet that it helped to cause,” Sohn said in a statement. The head of one of Britain’s biggest internet providers has criticised the music industry for demanding that he act against pirates. The trade body for UK music, the BPI, asked internet service providers to disconnect people who ignore requests to stop sharing music. But Charles Dunstone of Carphone Warehouse, which runs the TalkTalk broadband service, is refusing. He said it is not his job to be an internet policeman. Following a huge increase in complaints from the music, movie and software industries, the four major Japanese ISP organizations have agreed that they will work with copyright holders to track down copyright infringing file-sharers and disconnect them from the internet. In 2006, a Japanese ISP decided to plan measures to stop their subscribers using file-sharing software, by tracking their activities and disconnecting them from the Internet. The plan didn’t come to fruition as the government stepped in and said that such monitoring might have privacy implications. Now, under huge pressure from the movie, music and software industries, the four major ISP organizations in Japan are at it again, and have agreed to take drastic action against online pirates. Yomiuri Shimbun, the agreement would see copyright holders tracking down file-sharers on the Internet using “special detection software” and then notifying ISPs of alleged infringers. ISPs would first send out emailed warnings to those traced, then interrupt the Internet connection if action to cease the activity isn’t taken. For persistent breaches, the ISP would ultimately terminate the accounts of its subscribers. These four major ISP organizations – which include Telecom Service Association and the Telecommunications Carriers Association – are made up of around 1,000 other ISPs, a large portion of the Japanese market. In collaboration with the copyright holders, the ISPs will set up a panel in April to decide exactly how the system should operate. the number of internet users file-sharing in Japan had increased by a 180% in a single year. Having failed to stop piracy by suing internet users, the music industry is for the first time seriously considering a file sharing surcharge that internet service providers would collect from users. The Haifa District Court two weeks ago ordered the three largest internet service providers in Israel to block access to the Israeli file-sharing site httpshare, this following a petition levied by the 12 largest record companies in Israel. telcos, cable companies, and their trade association backers. Just about every big phone company has filed a statement challenging the FCC’s authority to deal with this problem. AT&T, Verizon, and Qwest all submitted lengthy remarks on February 13th, the last day for comments on the proceeding (parties can still reply to comments through the 28th). One of Denmark’s largest ISPs said on Wednesday it will fight a court injunction mandating that it shut off access to a file-sharing Web site, in what could be a closely-watched battle with the music industry in Europe. Tele2 met with representatives of other ISPs on Monday and decided to challenge the injunction, said Nicholai Pfeiffer, Tele2’s chief of regulations. As a result, the International Federation of the Phonographic Industry (IFPI) is understood to have filed on Tuesday a further justification for the injunction with the court, Pfeiffer said. Tele2 has complied with the injunction and blocked its customers from accessing The Pirate Bay, a Web site that hosts torrents, or small information files used to download larger files from the BitTorrent P-to-P (peer-to-peer) network. The IFPI alleges that Danish Internet users are using BitTorrent to download, without authorization, copyright content that they found using The Pirate Bay’s list of available torrents. No other Danish ISP has been ordered to shut off access to The Pirate Bay. However, IFPI plans to send letters this week to other Danish ISPs asking them to also block The Pirate Bay, said Jesper Bay [cq], spokesman. “Whether they are going to do that or not, it’s up to them,” Bay said, adding that IFPI hasn’t decided whether to pursue more injunctions. Bay said the injunction has two purposes: It sends a signal to ISPs that they have a responsibility to stop piracy and to users that downloading copyright content without permission is illegal. The content the IFPI objects to is actually hosted on the PCs of users around the world. The torrents coordinate the download of file fragments from different PCs, and those fragments are eventually linked together to form a complete file that can then be uploaded to other machines. BitTorrent has many legitimate uses, including software distribution, and is used by some media companies to deliver their content. The record industry has employed companies specializing in file-sharing forensics to track down individual Internet users it says are sharing copyright content illegally. It also sought to shut down Web sites such as The Pirate Bay that are part of the P-to-P network. The Danish court concluded that Tele2 was assisting in copyright infringement. Tele2, as well as other ISPs that have come under pressure, maintain they are blind to what their customers transmit on their networks and should not be responsible for policing content. “Our overall view is we don’t actually want to take sides in this dispute between IFPI and The Pirate Bay,” Pfeiffer said. The Pirate Bay said on Friday that traffic from Denmark has shot up 12 percent since Tele2’s block was imposed. The Pirate Bay also set up an alternative Web site for Tele2 customers giving them instructions on how to circumvent the block. Meanwhile, The Pirate Bay faces trouble in its own waters. In Sweden, charges of profiting and encouraging copyright infringement are pending against four people involved with the Web site. File-sharing service RapidShare has been dealt a blow by a German court and faces severe penalties if it fails to take appropriate measures against the uploading of copyrighted content by its users. The Düsseldorf Regional Court ruled against RapidShare last week in a case brought on by the German version of the RIAA, GEMA. GEMA hailed the decision as a huge victory, and concluded that RapidShare could face shutdown if it’s unable to comply. UK net firms are resisting government suggestions that they should do more to monitor what customers do online. The industry association for net providers said legal and technical barriers prohibit them from being anything other than a “mere conduit”. The declaration comes as the government floats the idea of persistent pirates being denied net access. And in the US one net supplier has admitted to “degrading” traffic from some file-sharing networks. Atkins, R., Mintcheva, S., & National Coalition against Censorship (U.S.). (2006). Censoring culture : contemporary threats to free expression. New York: New Press : Distributed by W.W Norton. Basho, K. (2000). ‘The licensing of our personal information: Is it a solution to Internet privacy?’ California Law Review, 88(5), 1507-1545. Becker, J. U., & Clement, M. (2003). ‘Generation Napster – Analysis of the economic rationale to share files in peer-to-peer-networks’, Wirtschaftsinformatik, 45(3), 261-271. Benkler, Y. (2000). ‘An unhurried view of private ordering in information transactions’, Vanderbilt Law Review, 53(6), 2063-2080. Benkler, Y. (2002). ‘Coase’s penguin, or, Linux and The Nature of the Firm’, Yale Law Journal, 112(3), 369-+. Bettig, R. V. (1996). Copyrighting culture : the political economy of intellectual property. Boulder, Colo: Westview Press. Bowbrick, P. (1983). ‘The Economics of Superstars – Comment’, American Economic Review, 73(3), 459-459. Boyle, J. (2002). ‘Fencing off ideas: enclosure & the disappearance of the public domain’, Daedalus, 131(2), 13(13). Chellappa, R. K., & Shivendu, S. (2003). ‘Economic implications of variable technology standards for movie piracy in a global context’, Journal of Management Information Systems, 20(2), 137-168. Chellappa, R. K., & Shivendu, S. (2005). ‘Managing piracy: Pricing and sampling strategies for digital experience goods in vertically segmented markets’, Information Systems Research, 16(4), 400-417. Chesterman, J., & Lipman, A. (1988). The electronic pirates : DIY crime of the century. London: Routledge. Cox, J. E. (1997). ‘Publishers, publishing and the Internet: How journal publishing will survive and prosper in the electronic age’, Electronic Library, 15(2), 125-131. Davies, G., & Hung, M. E. (1993). Music and video private copying : an international survey of the problem and the law. London: Sweet & Maxwell. Diderot, D. (2002). ‘Letter on the book trade: excerpts selected and translated by Arthur Goldhammer’, Daedalus, 131(2), 48(49). Duchene, A., & Waelbroeck, P. (2006). ‘The legal and technological battle in the music industry: Information-push versus information-pull technologies’, International Review of Law and Economics, 26(4), 565-580. Frank, B. (1996). ‘On an art without copyright’, Kyklos, 49(1), 3-15. Gayer, A., & Shy, O. (2003). ‘Internet and peer-to-peer distributions in markets for digital products’, Economics Letters, 81(2), 197-203. Ghosh, R. A. (2005). CODE : collaborative ownership and the digital economy. Cambridge, Mass: MIT Press. Gopal, R. D., & Sanders, G. L. (1998). ‘International software piracy: Analysis of key issues and impacts’, Information Systems Research, 9(4), 380-397. Gopal, R. D., Sanders, G. L., Bhattacharjee, S., Agrawal, M., & Wagner, S. C. (2004). ‘A behavioral model of digital music piracy’, Journal of Organizational Computing and Electronic Commerce, 14(2), 89-105. Hars, A., & Ou, S. S. (2002). ‘Working for free? Motivations for participating in open-source projects’, International Journal of Electronic Commerce, 6(3), 25-39. Hemmungs Wirtâen, E. (2004). No trespassing : authorship, intellectual property rights, and the boundaries of globalization. Toronto ;: University of Toronto Press. Hesmondhalgh, D. (2007). The cultural industries. London, UK ; Thousand Oaks, CA: Sage Publications. Hesse, C. A. (1991). Publishing and cultural politics in revolutionary Paris, 1789-1810. Berkeley: University of California Press. Huang, C. Y. (2005). ‘File sharing as a form of music consumption’, International Journal of Electronic Commerce, 9(4), 37-55. Jaccard, M. A. (1997). ‘Securing copyright in transnational cyberspace: The case for contracting with potential infringers’, Columbia Journal of Transnational Law, 35(3), 619-662. Javorcik, B. S. (2004). ‘The composition of foreign direct investment and protection of intellectual property rights: Evidence from transition economies’, European Economic Review, 48(1), 39-62. Kalaycioglu, S., & Rittersberger-Tilic, H. (2000). ‘Intergenerational solidarity networks of instrumental and cultural transfers within migrant families in Turkey’, Ageing and Society, 20, 523-542. Kritikos, A., & Bolle, F. (2004). ‘Punishment as a public good. When should monopolists care about a consumer boycott?’ Journal of Economic Psychology, 25(3), 355-372. Landes, W. M., & Posner, R. A. (1989). ‘An Economic-Analysis of Copyright Law’, Journal of Legal Studies, 18(2), 325-363. Lemley, M. A. (1997). ‘The economics of improvement in intellectual property law’, Texas Law Review, 75(5), 989-1084. Lemley, M. A., & McGowan, D. (1998). ‘Legal implications of network economic effects’, California Law Review, 86(3), 479-611. Lessig, L. (1999). Code and other laws of cyberspace. New York: Basic Books. Lessig, L. (2001). The Future of ideas : the fate of the commons in a connected world. New York: Random House. Lessig, L. (2004). Free culture : how big media uses technology and the law to lock down culture and control creativity. New York: Penguin Press. Leyshon, A. (2003). ‘Scary monsters? Software formats, peer-to-peer networks, and the spectre of the gift’, Environment and Planning D-Society & Space, 21(5), 533-558. Marshall, L. (2004). ‘The effects of piracy upon the music industry: a case study of bootlegging’, Media Culture & Society, 26(2), 163-+. Miceli, T. J., & Adelstein, R. P. (2006). ‘An economic model of fair use’, Information Economics and Policy, 18(4), 359-373. Miyagawa, E. (2001). ‘Locating libraries on a street’, Social Choice and Welfare, 18(3), 527-541. Nguyen, X. T. N., & Maine, J. A. (2004). ‘Taxing the new intellectual property right’, Hastings Law Journal, 56(1), 1-+. Pessach, G. (2003). ‘Copyright law as a silencing restriction on noninfringing materials: Unveiling the scope of copyright’s diversity externalities’, Southern California Law Review, 76(5), 1067-1104. Plant, M. (1974). The English book trade : an economic history of the making and sale of books. London: Allen & Unwin. Pollard, A. W. (1917). Shakespeare’s fight with the pirates and the problems of the transmission of his text. London: A Moring. Posner, R. A. (2002). ‘The law & economics of intellectual property’, Daedalus, 131(2), 5(8). Shapiro, C., & Varian, H. R. (1998). ‘Versioning: The smart way to sell information’, Harvard Business Review, 76(6), 106-+. Sobek, O. (1992). ‘Alternative Ways in Financing Public-Goods and Services’, Ekonomicky Casopis, 40(1), 24-39. Standage, T. (1998). The Victorian Internet : the remarkable story of the telegraph and the nineteenth centuryŽs on-line pioneers. New York: Walker and Co.
Takeyama, L., Gordon, W. J., & Towse, R. (2005). Developments in the economics of copyright : research and analysis. Cheltenham, UK ; Northampton, MA: Edward Elgar. Torrubia, A., Mora, F. J., & Marti, L. (2001). ‘Cryptography regulations for e-commerce and digital rights management.’ Computers & Security, 20(8), 724-738. Torsson, P., & Fleischer, R. (2005). The Grey Commons, 22C3. Berlin. Towse, R. (2002). Copyright in the cultural industries. Cheltenham, UK ; Northampton, MA, USA: Edward Elgar. Towse, R. (2006). ‘Copyright and artists: A view from cultural economics’, Journal of Economic Surveys, 20(4), 567-585. Watt, R. (2000). Copyright and economic theory : friends or foes? Cheltenham, UK ; Northampton, MA, USA: E Elgar. Woodmansee, M., & Jaszi, P. D. B. (1994). The Construction of authorship : textual appropriation in law and literature. Durham: Duke University Press. COPENHAGEN (Reuters) – A Danish court has ordered Denmark-based Internet service provider Tele2 to shut down its customers’ access to the popular file-sharing site Pirate Bay, Danish IT magazine Computerworld reported on Monday. Computerworld said on its Web site that a court had ordered Denmark’s Tele2 — one of the Nordic country’s largest Internet providers — to close access to the site at the request of the International Federation of the Phonographic Industry (IFPI). On its Danish Web site, the IFPI said Frederiksberg county court had ordered an Internet provider to shut down its customers’ access to The Pirate Bay. “The provider had agreed to follow the order and it is expected that other Internet service providers will voluntarily follow the court order,” the organization said. Tele2 Denmark was bought last year by Norway’s Telenor from Swedish telecoms operator Tele2 and has about a 4 percent market share of Denmark’s roughly 2 million Internet subscriptions. Tele2 and Telenor were not immediately available to comment, however, Tele2’s regulatory director Nicholai Pfeiffer told Computerworld Tele2 would abide by the ruling. Other large Danish Internet service providers said they would not immediately follow the order. The restriction is another blow for the Internet-based music and film sharing site. Last week four men linked to Pirate Bay were charged by a Swedish prosecutor with conspiracy to break copyright law. French record labels and Internet service providers (ISPs) have agreed on a ground-breaking plan to fight online music piracy. Among other things, the 23 November memorandum of understanding requires Internet access providers to experiment with filters to block infringing files. Making ISPs shoulder more responsibility for copyright violations on their networks while leaving intact their immunity from liability for content for which they are “mere conduits” represents a sea-change in the interpretation of the European Union E-Commerce Directive, said attorney Winston Maxwell of Hogan & Hartson. I’m not a Comcast customer. I happen to get service from Verizon, ATT and Time Warner at various locations where I pay for internet service. As a consumer, I want my internet experience to be as fast as possible. The last thing I want slowing my internet service down are P2P freeloaders. Thats right, P2P content distributors are nothing more than freeloaders. The only person/organization that benefits from P2P usage are those that are trying to distribute content and want to distribute it on someone else’s bandwidth dime. Does anyone really think its free ? That all the bandwidth consumed with content being distributed by P2P isn’t being paid for by someone ? That bandwidth is being paid for by consumers. Consumers who pay for personal, not commercial applications. When consumers provide their bandwidth to assist commercial applications, they are subsidizing those commercial applications which if it isn’t already, should be against an ISPs terms of service. Thats not to say there isnt a place for P2P. There is. P2P is probably the least efficient means of distributing content in the last mile. Comcast, Time Warner, etc should charge a premium to those users who want to act as a seed and relay for P2P traffic. After all, that is why P2P is used, right ? For content distributors to avoid significant bandwidth and hosting charges. That makes it commercial traffic far more often than not. So make them pay commercial rates. That will stop P2P dead in its tracks. P2P isnt so good that people will use it when they have to pay for all the bandwidth it consumes. It will die a quick death. That will speed up my internet connection. A major ISP in the city I resided in in Romania help alleviate demands on bandwidth to and from the outside world by just setting up a DC++ server for their customers where they could share music and movies with other people in the same city. Seems easier to do than trying to ban all manner of P2P traffic. Too bad that sort of thing would never fly in the U.S.
A handful of consumer groups, including members of the Savetheinternet.com coalition, have asked the Federal Communications Commission to stop Comcast from interfering with BitTorrent and other P2P traffic. A new complaint (PDF) filed by Public Knowledge and Free Press accuses Comcast of “secretly degrading” P2P traffic, calling it a violation of network neutrality principles, and asks the FCC to enjoin Comcast from blocking P2P traffic in the future. The complaint comes in the wake of revelations the Comcast is using Sandvine to actively interfere with and block some BitTorrent, Gnutella, and even Lotus Notes traffic. The ISP is using forged TCP reset packets, which tell both ends of a connection that the other party has reset the connection, to accomplish the task. Comcast admits to managing traffic on its network to ensure a “good Internet experience” for all of its customers. The company argues that its management techniques will occasionally “delay” traffic, but denies that it blocks or degrades traffic, despite evidence to the contrary. The record industry is pressing the UK’s ISPs for a deal that would see persistent illegal file sharers automatically booted off the net. High-level talks between the ruling council of internet trade body ISPA and the Music Publishers Association are aiming to settle the historic tension between the two industries. Comments from a government Minister yesterday hint that an unlikely bargain could be approaching. Lord Triesman said talks are “progressing more promisingly than people might have thought six months ago”. People familiar with the negotiations say the ISPs would prefer a financial penalty to a full disconnection. The providers are concerned that terminating access is a disproportionate response. The internet is rapidly becoming an essential part of national infrastructure for consumers, they argue, not merely a source of entertainment. And from the ISPs’ perspective, the government is sending out mixed signals on the issue. A court has ruled that the Belgian ISP Scarlet Extended SA is responsible for blocking illegal file-sharing on its network, setting a precedent that could affect other ISPs in Europe, according to a recording industry group. AT&T Inc. has joined Hollywood studios and recording companies in trying to keep pirated films, music and other content off its network — the first major carrier of Internet traffic to do so. The San Antonio-based company started working last week with studios and record companies to develop anti-piracy technology that would target the most frequent offenders, said James W. Cicconi, an AT&T senior vice president. The nation’s largest telephone and Internet service provider also operates the biggest cross-country system for handling Internet traffic for its customers and those of other providers. In a conference call with investors today, Time Warner chief executive Richard D. Parsons and others said their strategy of changing AOL into a free service, supported by advertising, had produced a 46 percent jump in ad revenue and the successful “migration” of millions of AOL users to free accounts. They said the company was close to beginning to increase the amount of overall traffic to its Web sites — critical if its ad revenue is to continue growing. While overall revenue at AOL declined 3 percent, to $2 billion, for the three months that ended in September, advertising revenue increased by $151 million, to $479 million. Bad, Chris, Bad. I dont want anyone to monitor my packets. You can sit down now. ISPs and users are more protected in the EU? I will discuss that with lawyers specialized in EU legislation, and will get back to You with more details. Where are indie labels heading to? “The UK’s independent music labels want a change in the law so internet service providers (ISPs) become liable for illegal file-sharing by their users.” – says the headline of BBC News. It is the second attack this week on intermediaries like ISPs to bear responsibility for the behaviour of their users, but the bottom line might be to create a legal construction where ISPs are in a similar position as other more traditional intermediaries are like radio stations and other broadcasters, who pay a licence fee for the use of copyrighted material to rightsholders in exchange for letting their users listen to copyrighted material. People behind the swedish pirate bay have heavily argued against this kind of flat-rate copyright fee. (via nettime) Well worth a read. Well, i guess the big war about what ISPs are: phone companies (not responsible for the content they convey) or media companies is just about to start. Yummy. many sources in the blogosphere report the standoff between the isp tiscali and the british phonographic industry. bpi wants tiscali to stop its ip-identified users from file-sharing, tiscali says slow down to them. none of the above will happen. details here and here and here.